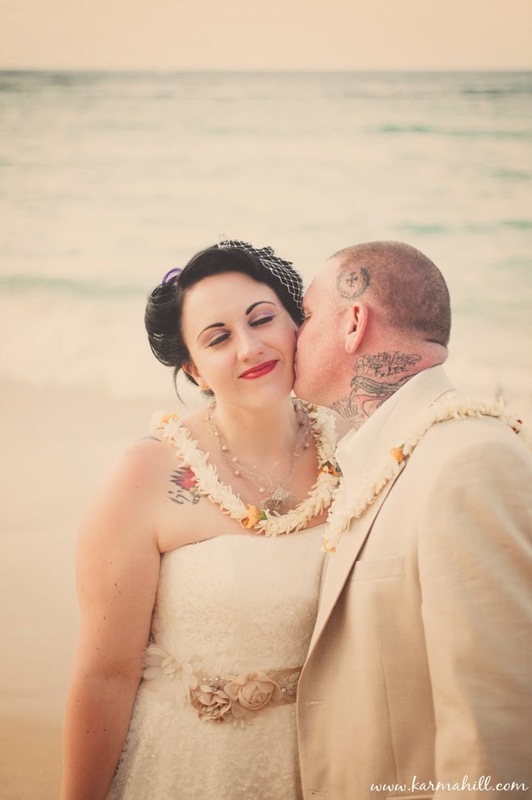 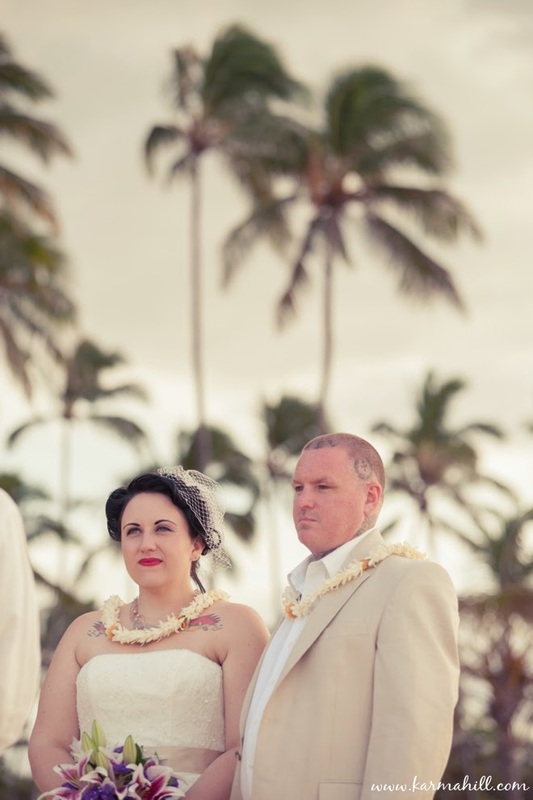 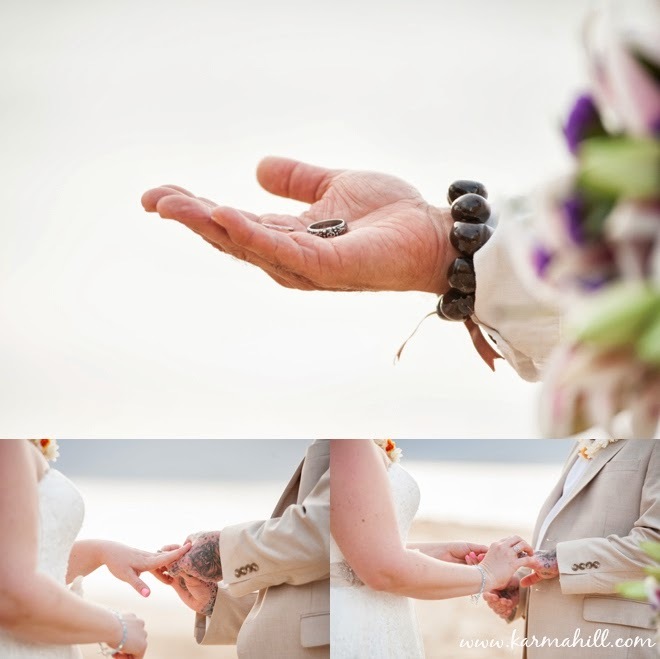 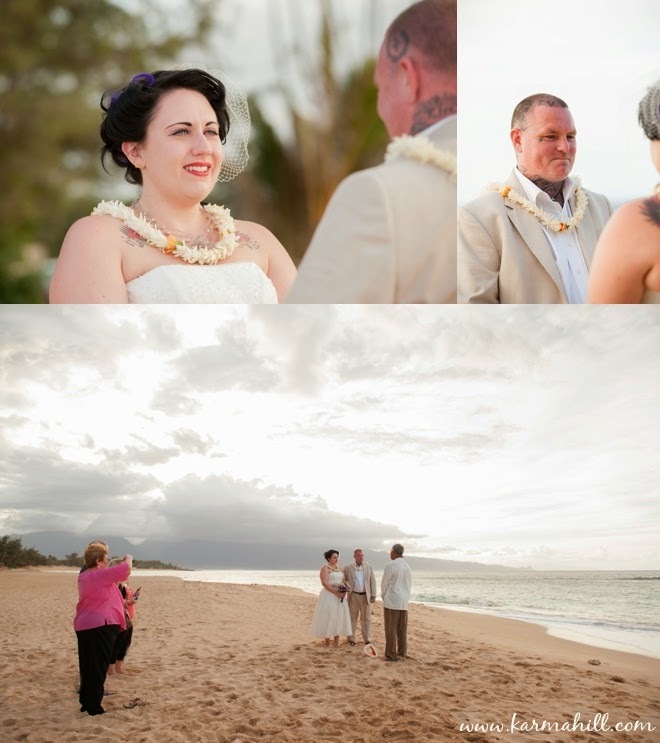 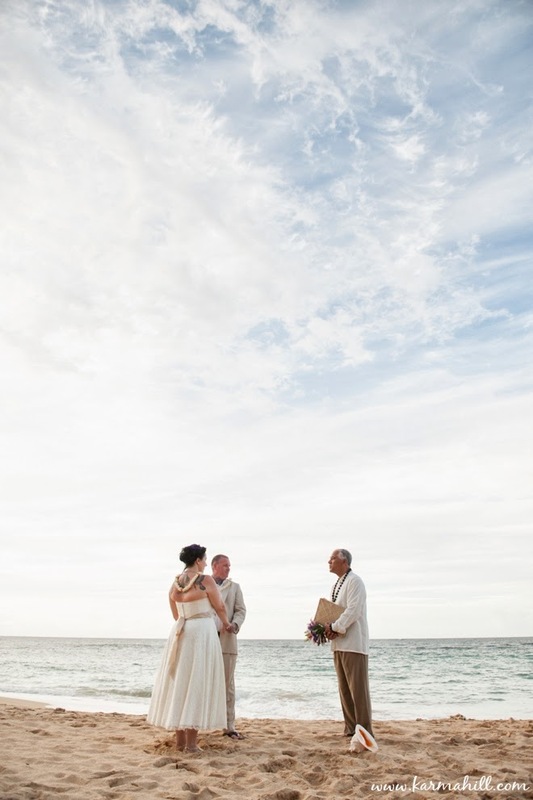 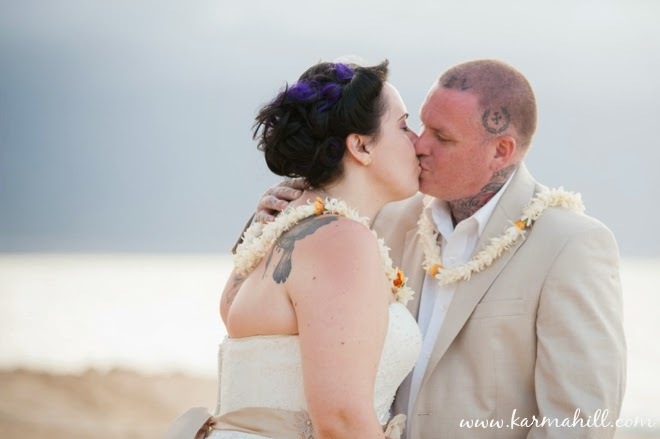 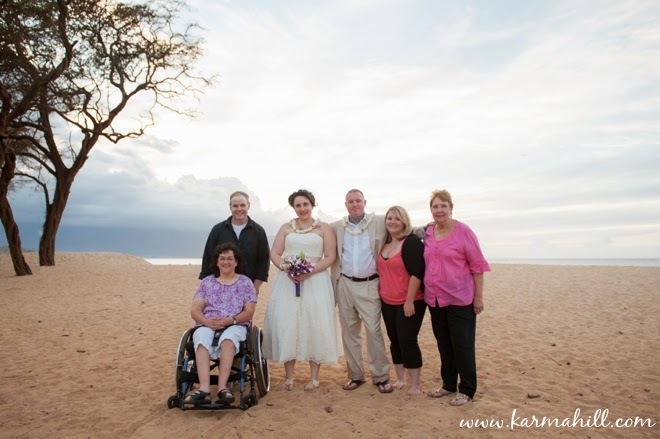 We met Diane and Josh at Baldwin Beach on Maui's north shore for their sunset wedding. 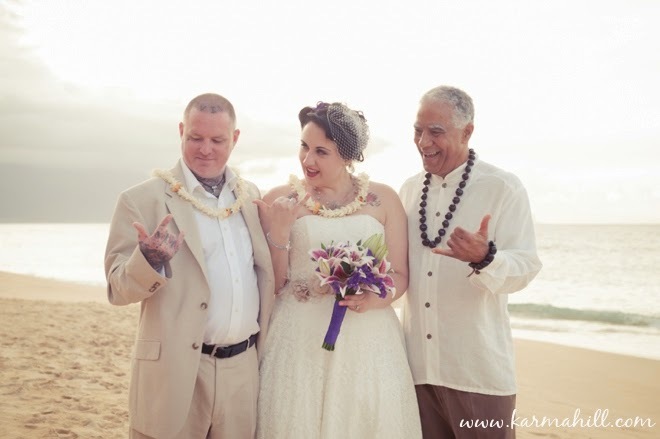 Reverend Joe Miles gave a beautiful custom ceremony and of course presenting them with traditional Hawaiian leis that symbolize love. 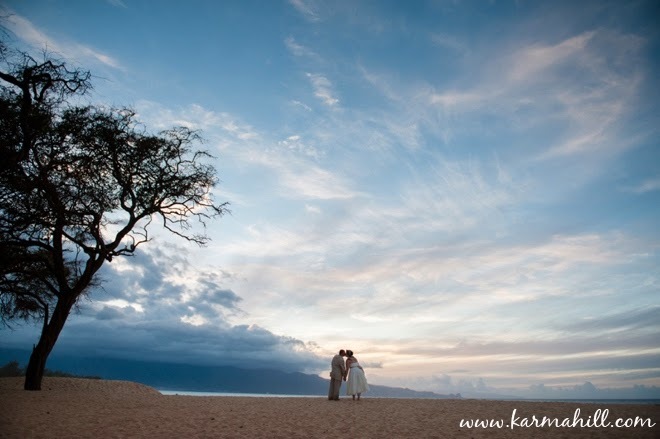 As these two said their vows to one another the sun was setting behind the West Maui Mountains and the tall palm trees were blowing in the evening breeze. 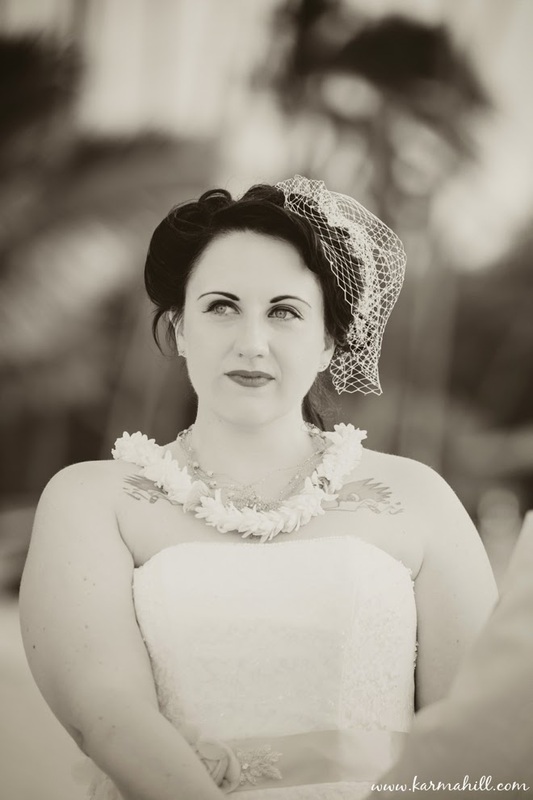 Diane's was so fun to photograph with her cute vintage hairstyle that included a little birdcage veil on the side. 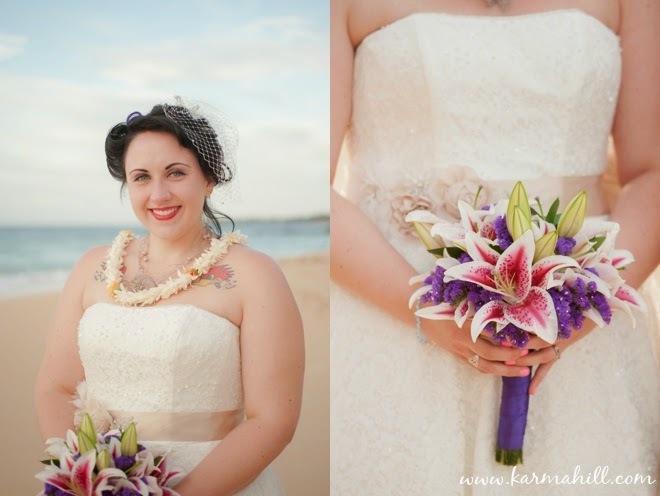 Before meeting us at the beach, she'd spent the afternoon getting made-over at our favorite salon in Maui Salon 253. 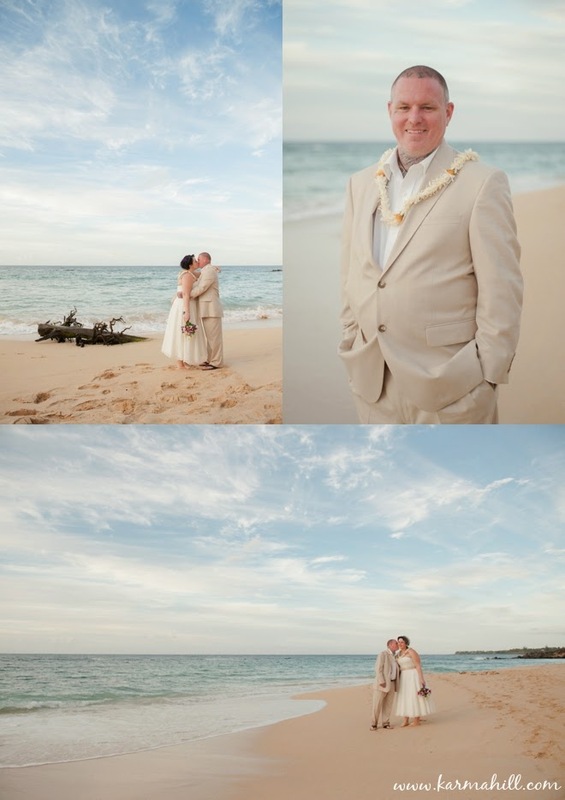 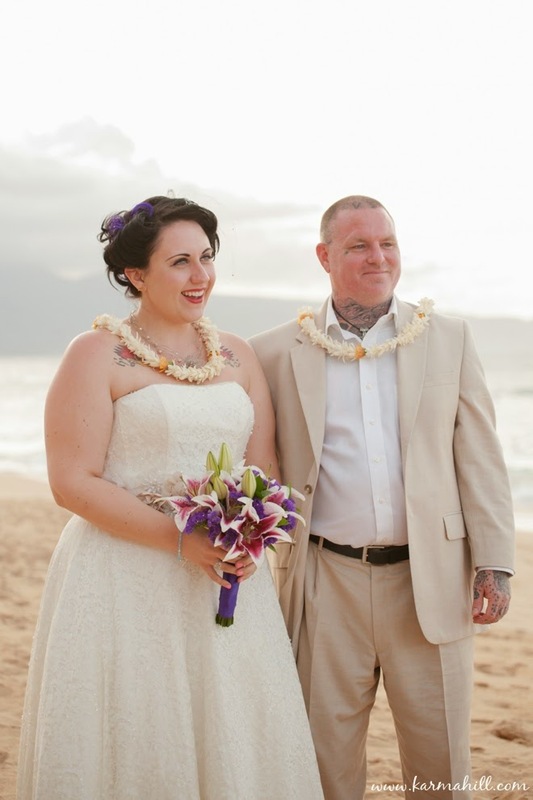 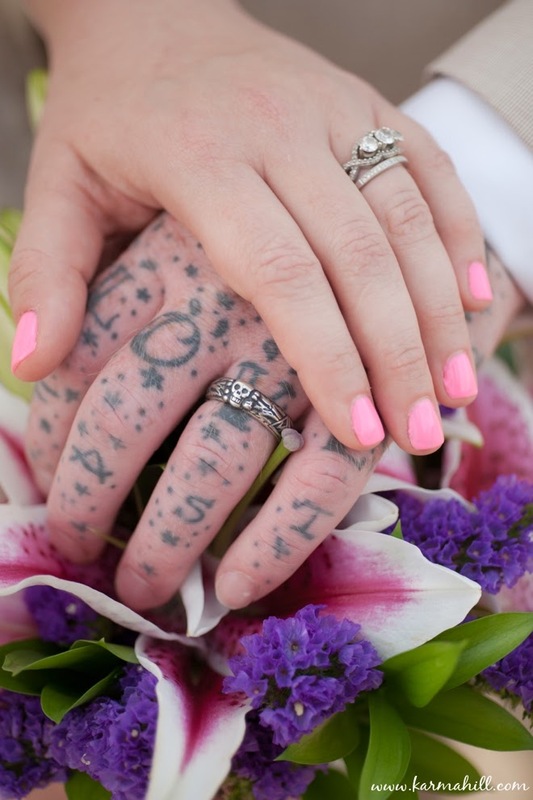 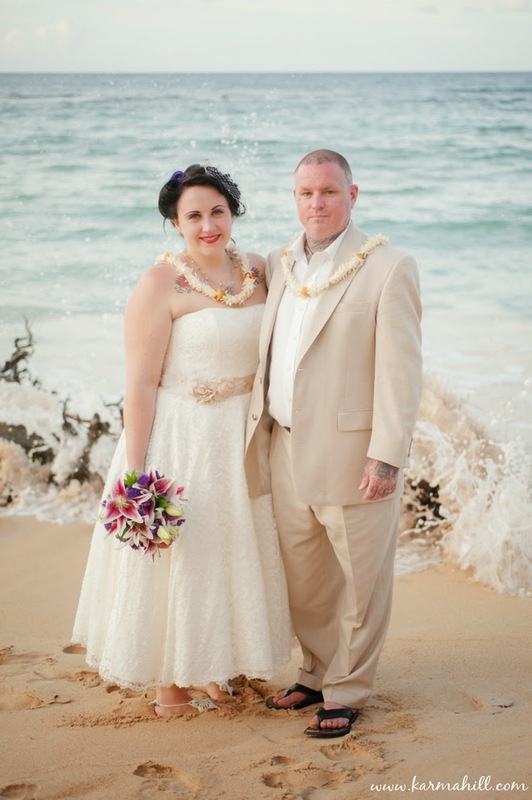 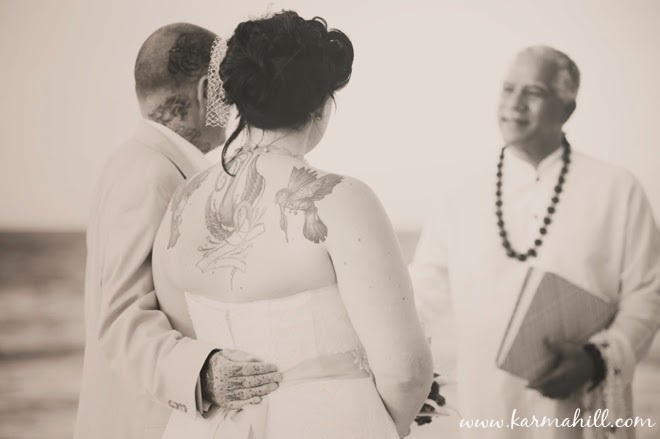 Thank you so much Diane & Josh for celebrating with Simple Maui Wedding! 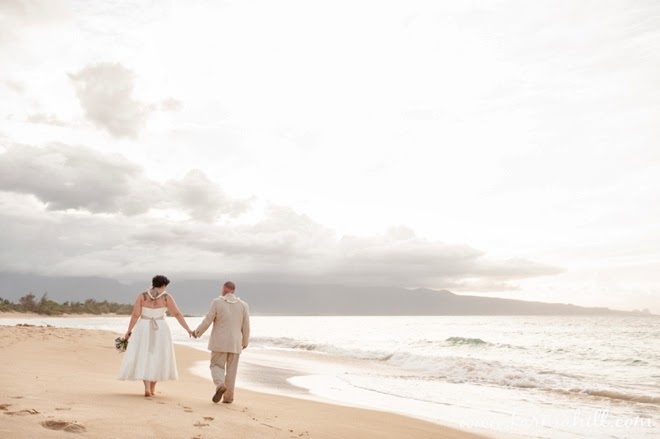 We hope you've enjoyed your Maui honeymoon!